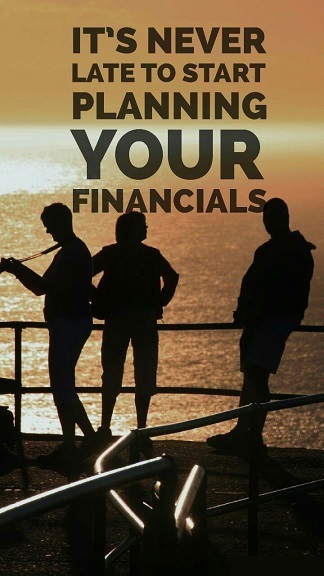 A perfect personal financial plan seamlessly maps your financial goals and plans of actions to your life goals. A solid personal financial plan helps you get your life on track and ensure that you are financially secure when you reach each of your life goals. Such a robust plan will also prepare you well to manage any sudden health, financial, or other family-related crisis that may pop up any time in life. With such humungous benefits to reap, we really must focus on our personal financial plan – not just contemplating to get started but also to implement a plan that perfectly fits your specific life goals. Recognizing your current worth is a critical first step if you are looking at planning make your future better. Make a list of your assets, savings in the bank, pending credit card bills, investments in shares and bonds, real-asset investment, monthly income, debts, and every financial element that defines your current financial status. Making this effort will help you get a reasonably clear idea about where you stand in your journey toward your life goals. Your short-term goal might be to buy a car, plan a vacation, or fund your child’s immediate education need. Your long-term goals can be your child’s long-term education plans, retirement plans, or buying a house. These goals vary from person to person; hence, take a step back, think through carefully, and then fix your goals depending upon what you desire from your life. Life goals will definitely undergo changes as you age; hence make sure to revisit your life goals periodically for a quick rain check. Now you can determine how much finance you require to bridge the gap between your life goals and current financial situation. Saying bye to debts as soon as possible is a crucial point to remember while you plan your finances. This is because no matter how well you create a financial plan, paying more of your money for interest on a debt will only drain away your income. So, try to increase your income by gaining more skills in your field or by taking up part-time jobs apart from your regular income or reduce your expenses so you can clear your debts at the earliest. Make sure to plan your funds in future properly so that you need not get into debts again. Managing money is a lot easier with budgeting, since this habit will help you keep a close tab on where your money is going. Budgeting makes you organized and gives you a good control over your expenses. It also helps you identify whether financial goals are met or not. Figure out whether you can go for investments that are highly risky or you want to go for less risky investments and play safe. Before choosing different types of investments in your financial planning portfolio, identify your risk-taking ability or your capability to face and overcome financial risks with confidence. Usually high returns are associated with an equally high risk factor. Hence consider your age, your financial commitments, your ability to absorb and overcome risks, the number of family members, and your current financial constraints before you take a call. Consider investing in diversified investment options to build a strong financial portfolio. Once you establish your investments in various instruments like mutual funds, bonds, real estates, and others, you can realize the importance of a balanced portfolio you have established for yourself. You can also see that your earning is more through your investments than your regular income if you manage to invest properly. All these activities, right from mapping your financial goals with your life goals and defining your diversified investment portfolio can be quite daunting. Make sure you get some pretty useful help from expert financial advisors and registered investment advisors who can study your financial requirements and life goals in detail and provide you with a well-tailored and customized personal financial plan that they will revisit with you at predefined intervals. These seven pointers will help you take a well-structured approach to building strong personal financial plans. These pointers will also help you in making a quick recovery in case of any financial calamities. Of course the key to success is in a smart implementation of your financial plan. Take the support of an experienced financial expert to guide you through the entire journey from understanding your life goals to diversifying and revisiting your investments.